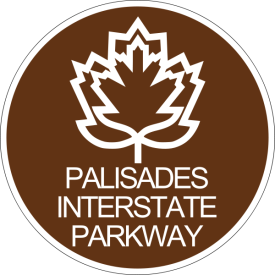 The Palisades Interstate Parkway is a north-south highway in Northeaster New Jersy. It runs from Interstate 95/U.S. Rt. 1-9-46, at Fort Lee, to the New Jersey/New York State Line, near Alpine. The Palisades Interstate Parkway passes through the following towns in New Jersey. 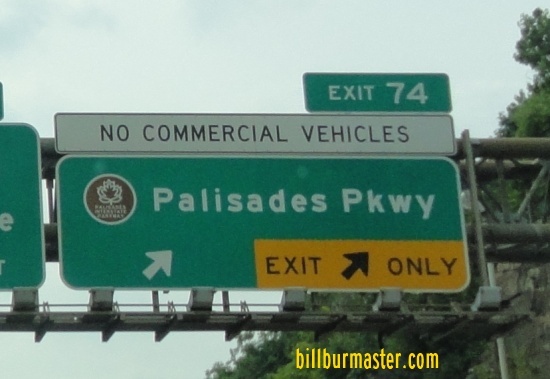 The Palisades Interstate Parkway crosses the following major highway in New Jersey. Interstate 95, at Fort Lee. A BGS on SB I-95/U.S. Rt. 1-9/WB U.S. Rt. 46.